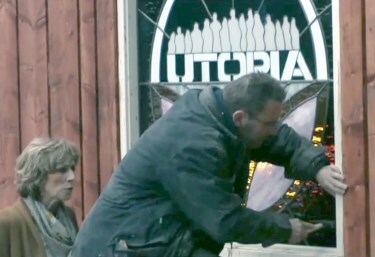 "Utopia" is a reality TV series on the Dutch television channel SBS6. In it, fifteen participants are cut off from the outside world for a year and largely left to their own devices "to build a new society." They are given a shed, two cows, chickens, some personal possessions and land to cultivate before being mostly left alone — apart from being watched by around 100 cameras recording their every move. 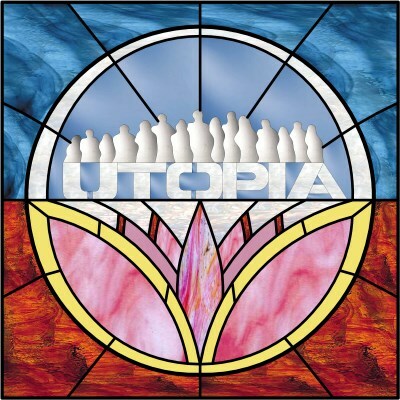 Utopia can be seen on TV every day in The Netherlands and via the internet 24 hours a day. 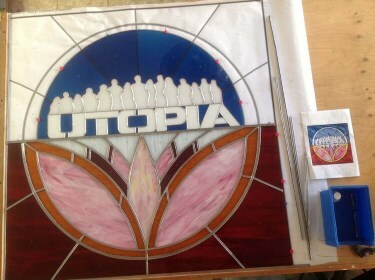 Colinda, one of the characters, created a spa on the set and wanted it to have a stained glass window representing the show. 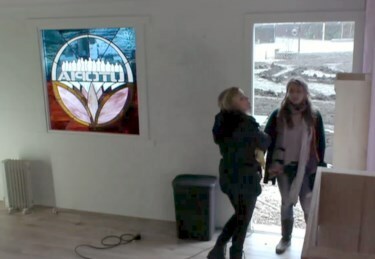 Through the internet she found FOKA, our stained glass studio. Using personal meetings and email exchanges we came up with a design. Our design required lines of different sizes, and with Glass Eye 2000 we were able to specify the width of each. The glass pieces were carefully cut and polished: the better the fit, the more solid the result. 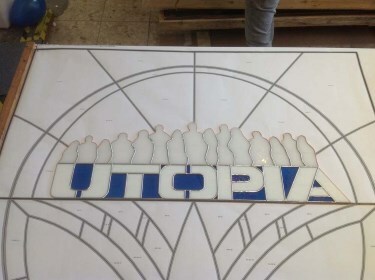 The silhouettes of the residents and the letters of the show title were constructed using the Tiffany technique. The window was made with H-lead profiles and reinforced with steel. The lines were dark-polished with an oxidation liquid (patina). Finally, the window was made water resistant and thoroughly cleaned. Proper cleaning is very important; otherwise, the lead can turn white. To save costs and to reduce glare no insulation was added, which makes the window look good on TV. 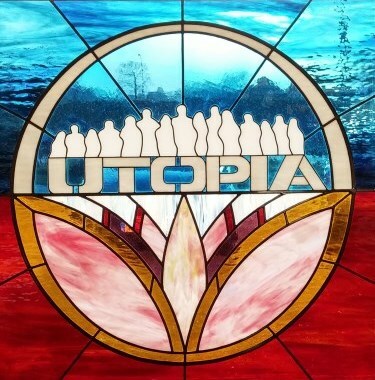 On March 18, 2015, the window was placed on the set of Utopia. The entire cast weighed in with their opinions, and the unveiling was a combination of humor, emotions and tension! Colinda, we are so grateful that we could work with you on this. 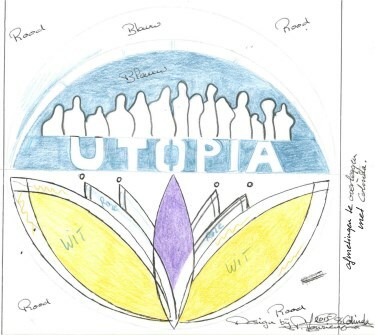 Note: An American verstion of Utopia was created based on the Dutch original. 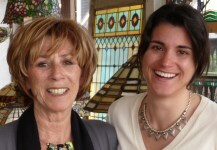 The FOKA stained glass shop was started 30 years ago by Jodi's mother. Now Jodi runs it with her aunt Jeanine van de Kamp. FOKA specializes in custom designs for homes and provides materials and glass for professionals and hobbyists. It's truly a family business with a great team professionals in the retail store and workshop. Please visit their website to learn more.